Certain spaces invite our imagination, allowing us to mentally project ourselves into that space, entering into a fantastic realm. The compact interiors of dollhouses and rocket ships capture the imaginations of children, and the full scale world falls away. 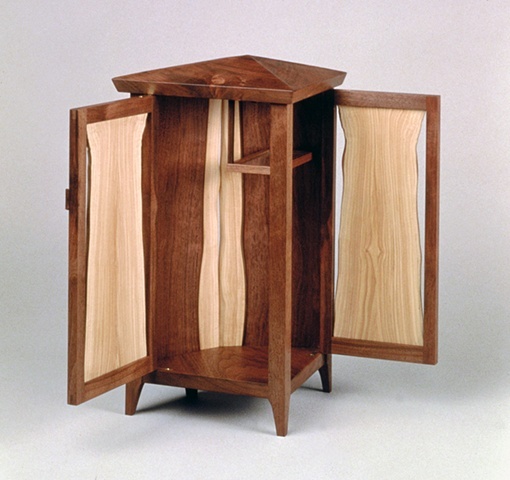 This tiny cabinet is home to a single hand-blown decanter and two small glasses, a shrine to an after dinner drink. 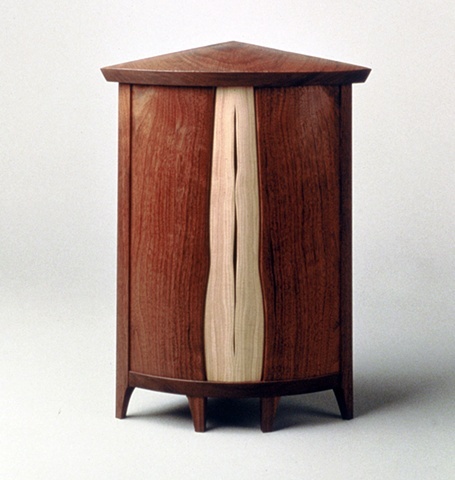 "Port Cabinet" is made from coopered walnut and an inset of a book matched live-edged lilac branch. 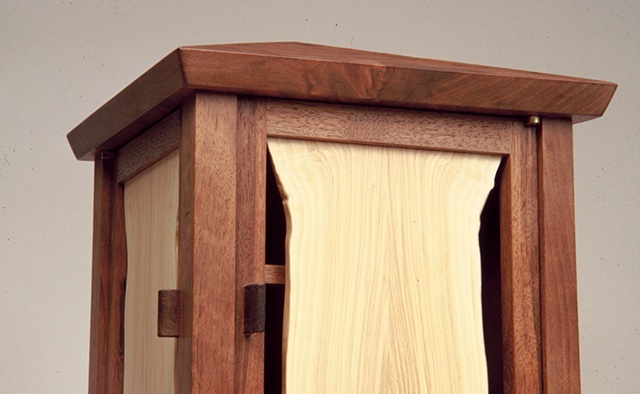 The top texture is carved with a gouge. This piece is featured in the chapter "Grain" in James Krenov's book, "With Wakened Hands". 17" x 12" x 12"